Hold Up a Minute! After the question is read, teams will have one minute to confer. Teams will have two minutes when a calculation is necessary. When time. 1 Hold Up a Minute! After the question is read, teams will have one minute to confer. 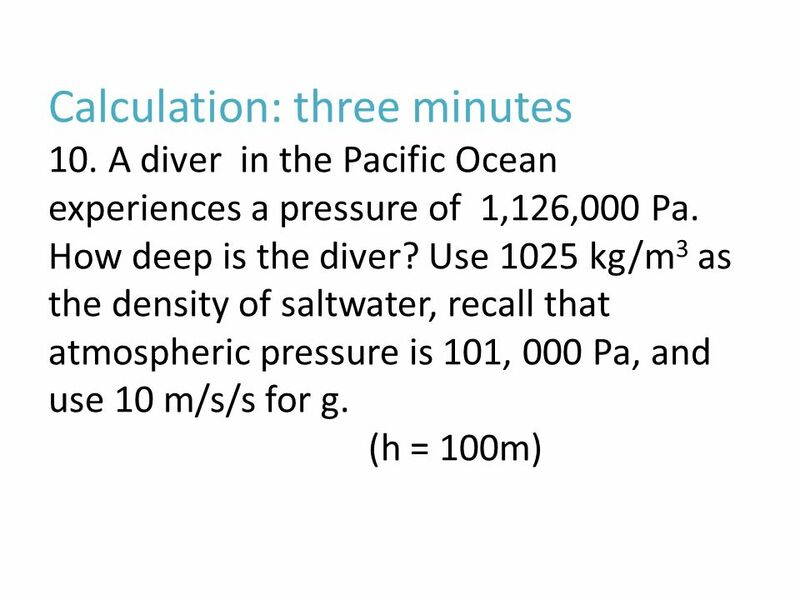 Teams will have two minutes when a calculation is necessary. When time is called, no passing of notes or talking is permitted. 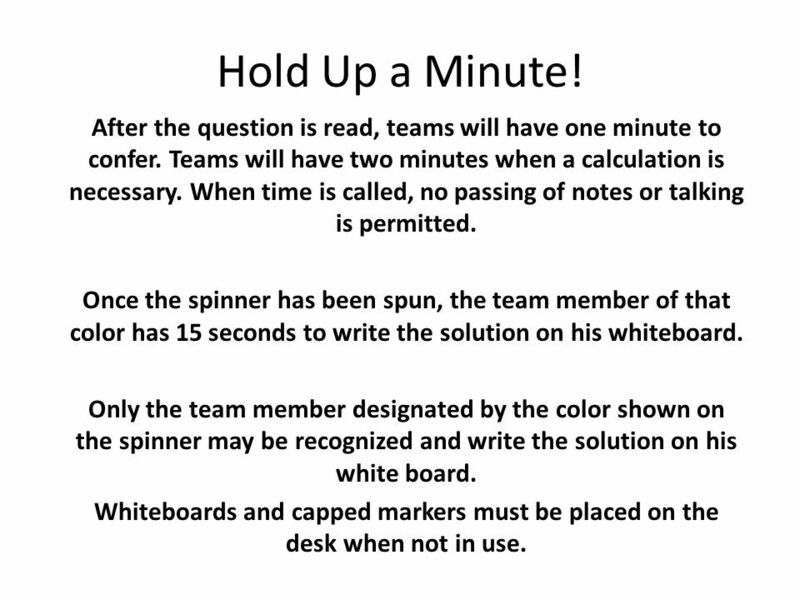 Once the spinner has been spun, the team member of that color has 15 seconds to write the solution on his whiteboard. Only the team member designated by the color shown on the spinner may be recognized and write the solution on his white board. Whiteboards and capped markers must be placed on the desk when not in use. Download ppt "Hold Up a Minute! After the question is read, teams will have one minute to confer. 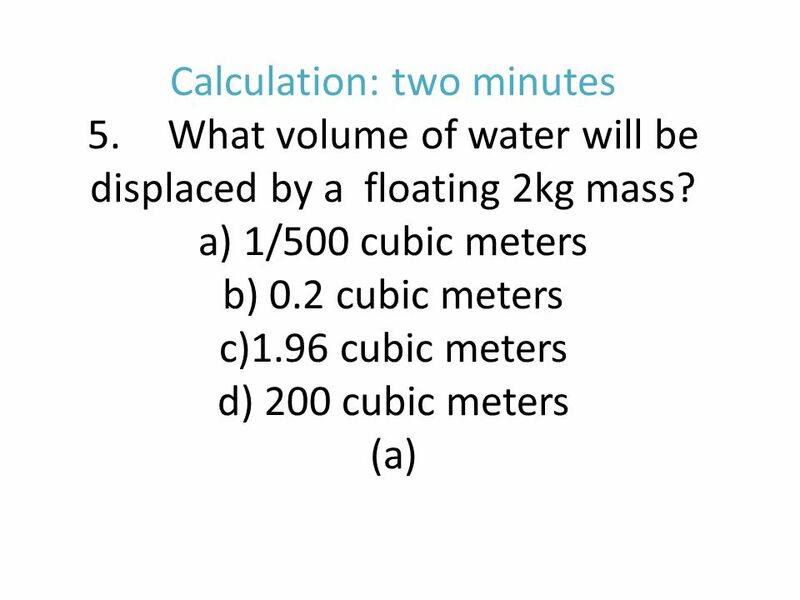 Teams will have two minutes when a calculation is necessary. When time." Chapter 13 Forces in Fluids. Fluid Fluid - any substance that “flows”… liquids and gases. web notes: lect3.ppt buoyancy.pdf surface.pdf. Have your homework on your desk. Prepare for the review game. 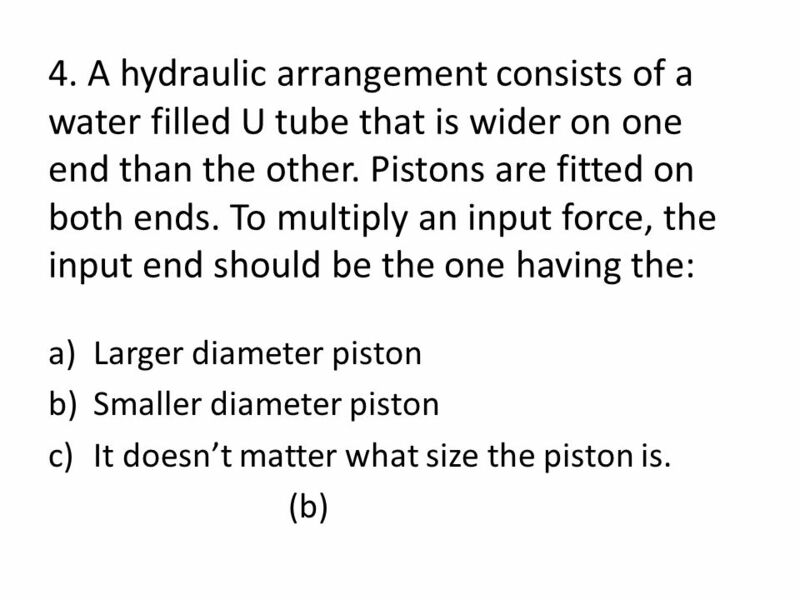 Chapter 12 Forces & Fluids. 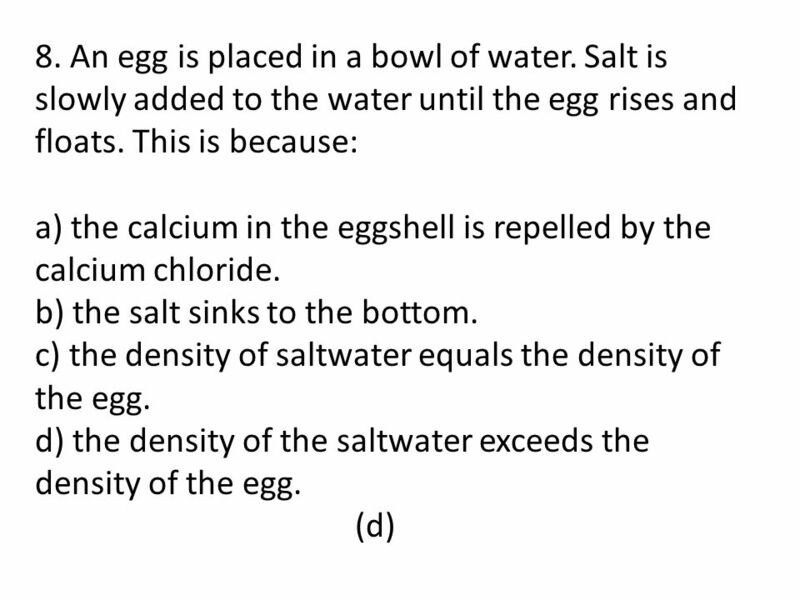 Properties of Fluids. Buoyancy Fluid = a liquid OR gas Buoyancy = The ability of a fluid (a liquid or a gas) to exert an upward force on an object immersed. 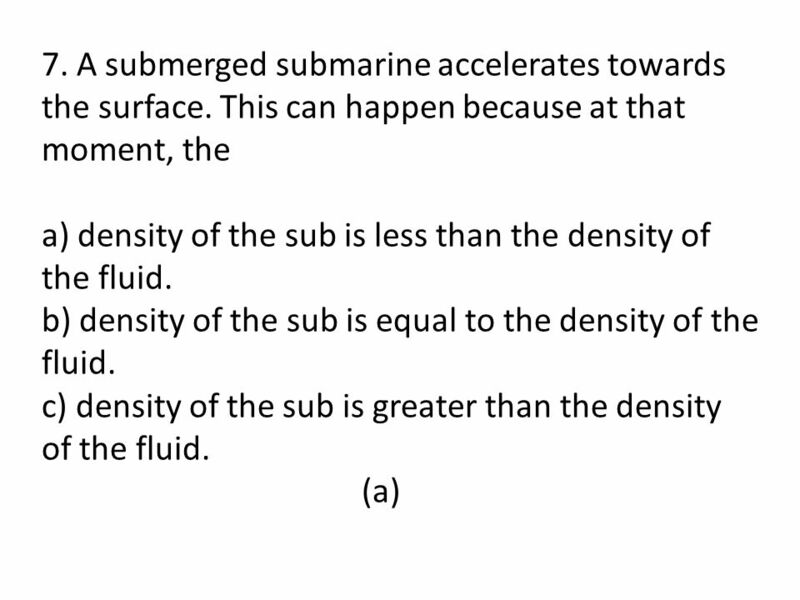 Forces in Fluids Chapter 13. What is pressure? The result of a force acting over a given area.The result of a force acting over a given area. Pressure. 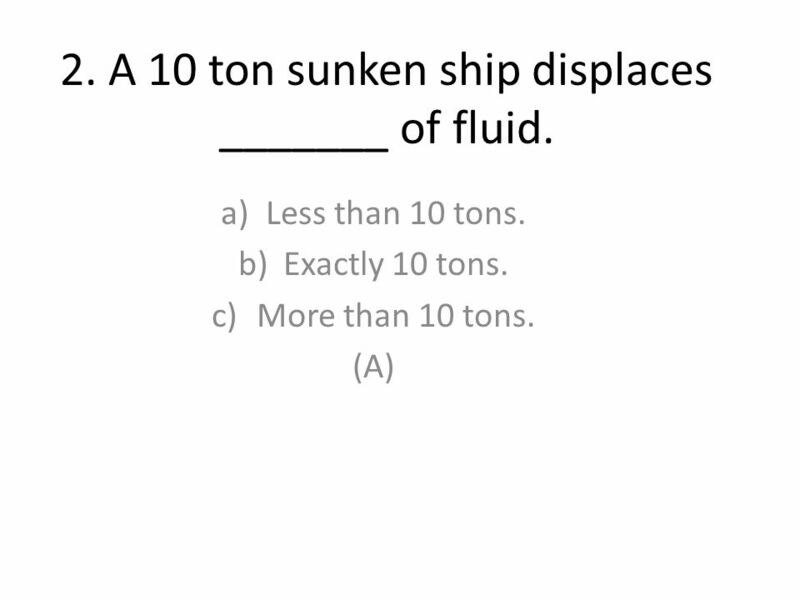 Chapter 3: Forces & Fluids Review. How can you change the pressure on the ground when you are standing?  Stand on one foot (decrease area)  Change into. Copyright © by Holt, Rinehart and Winston. All rights reserved. 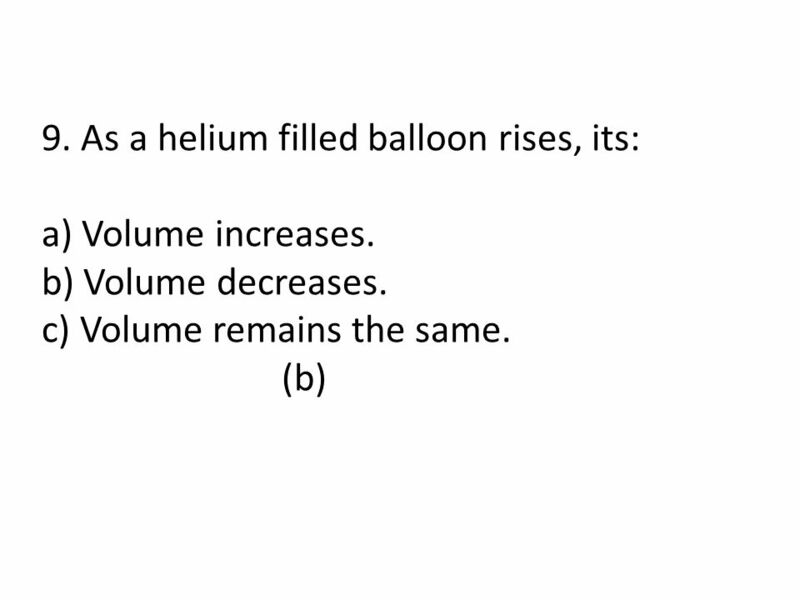 ResourcesChapter menu Buoyant Force Buoyant force is the upward force exerted on an object. 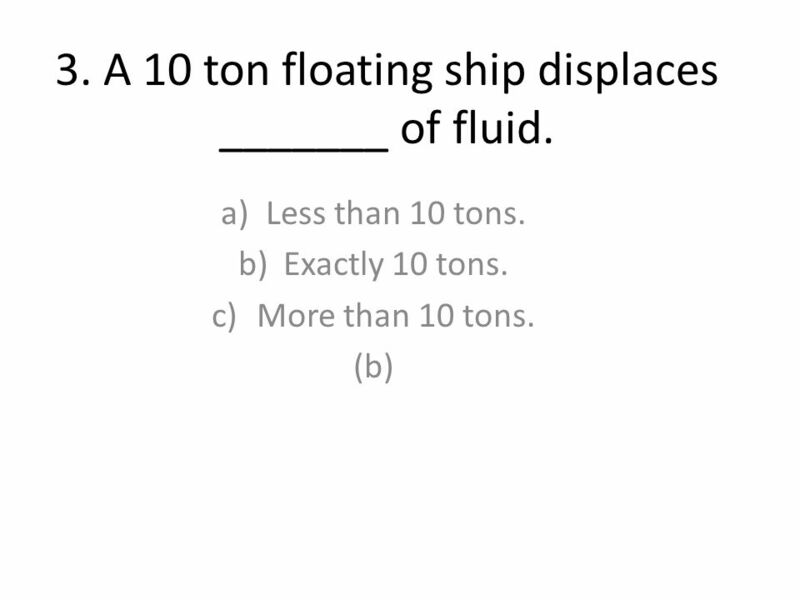 Section 2: Floating and Sinking How can you predict whether an object will float or sink in a fluid? 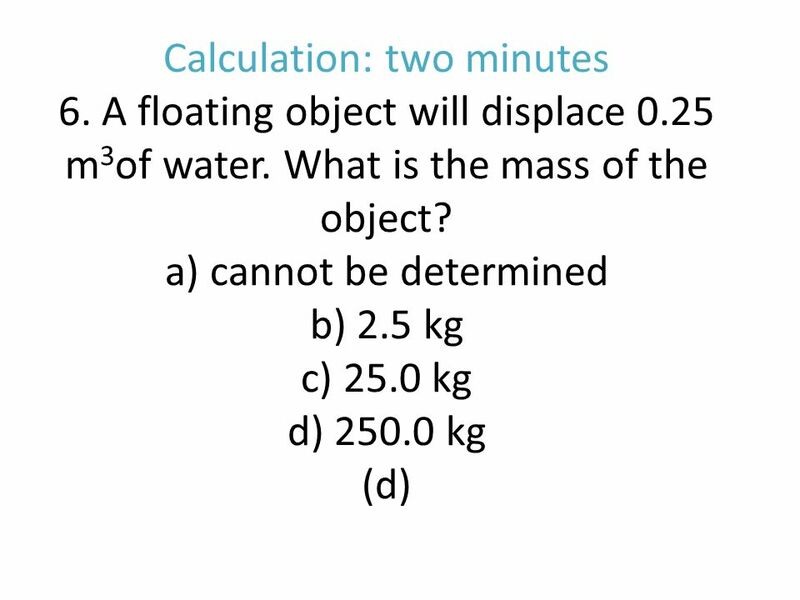 What is the effect of the buoyant force?